The party is co-sponsored by Veristone Mortgage and Oregon REIA! Register now to be included in an evening of fun, conversation, and prizes! 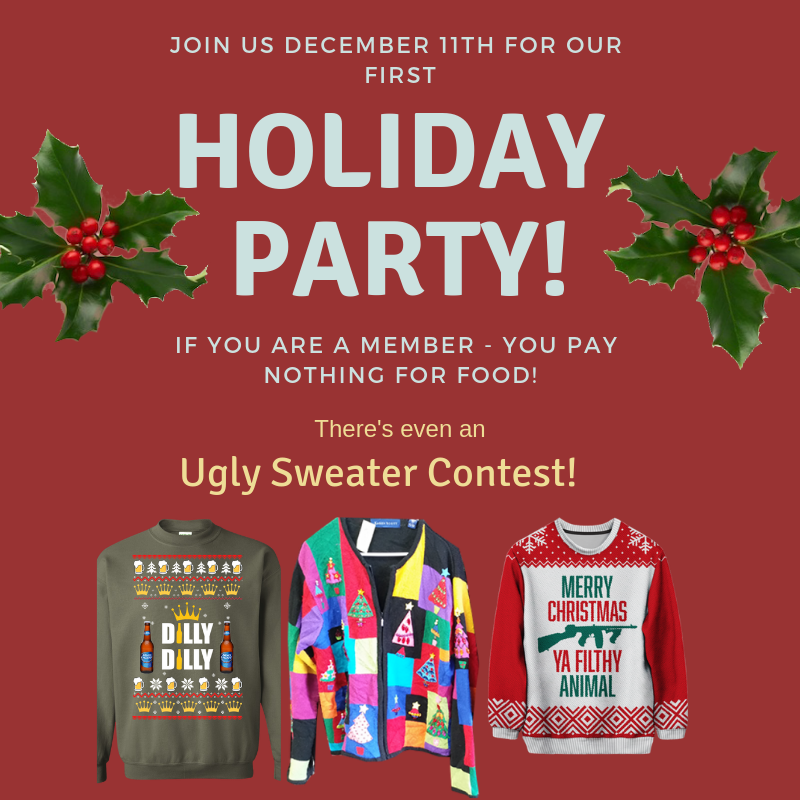 Ugly Sweaters will be recognized in the contest! Holiday Buffet! Bring your friends!